That's the best tree I've ever seen! Literally made me laugh out loud! 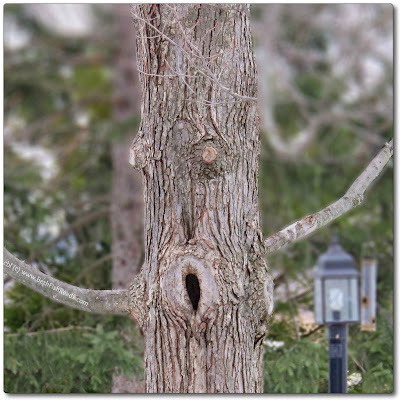 Beth, at first glance I kept thinking, I wonder if something lives inside the tree but when I pulled back I saw that the tree looks alive with two eyes, a mouth, and two outstretched arms. Great capture! Thanks for sharing and have a happy, blessed new year! Nice! I see it, too! Ha ... It made me laugh! So cool :D Great capture! He looks surprised! Did someone touch his trunk?